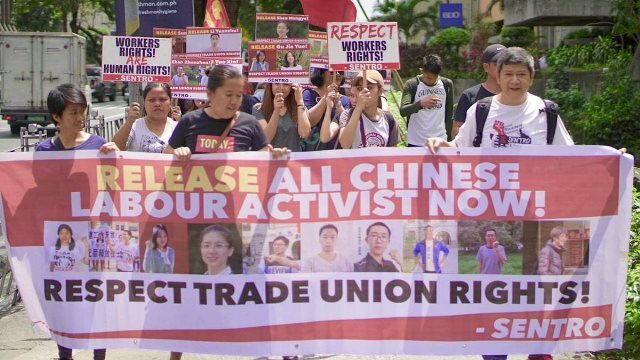 On March 28, the national trade union center SENTRO and labour rights supporters in the Philippines demonstrated at the Chinese embassy in Manilla. "We condemn the steadily widening repression of Chinese workers who are exercising their universal right to freedom of association and to demand the immediate release of all jailed labor rights activists," said SENTRO general secretary Josua Mata, who suggested that the government of China resign its position on the ILO Governing Body if it cannot respect the basic principle of freedom of association. 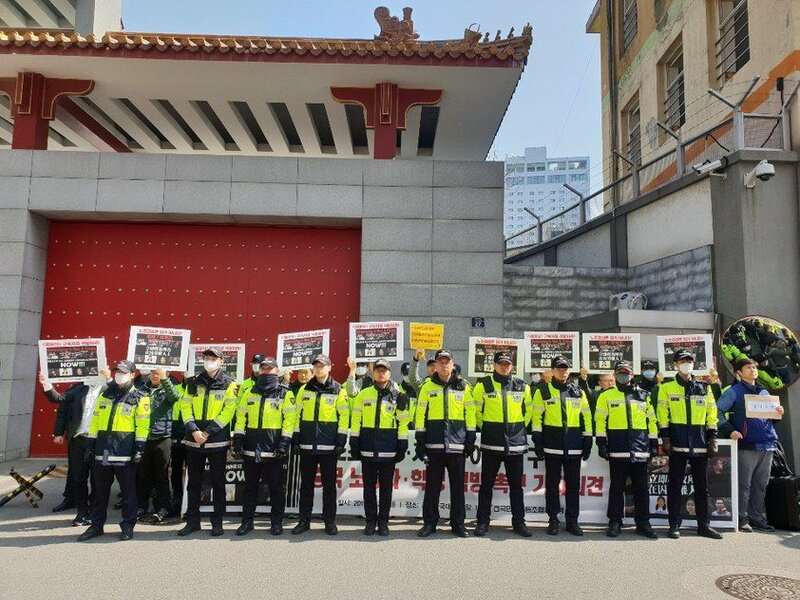 On March 26, the Korean Confederation of Trade Unions (KCTU) picketed the Chinese embassy in Seoul demanding the immediate release of all those detained and insisting "Unionizing is not a crime!" 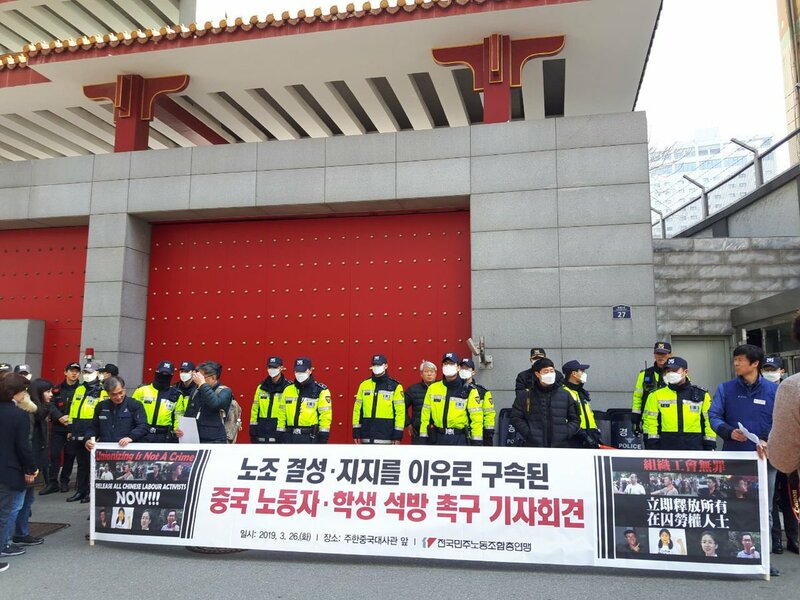 The KCTU condemned the deployment of police to block the sight of the demonstrators and their banner. 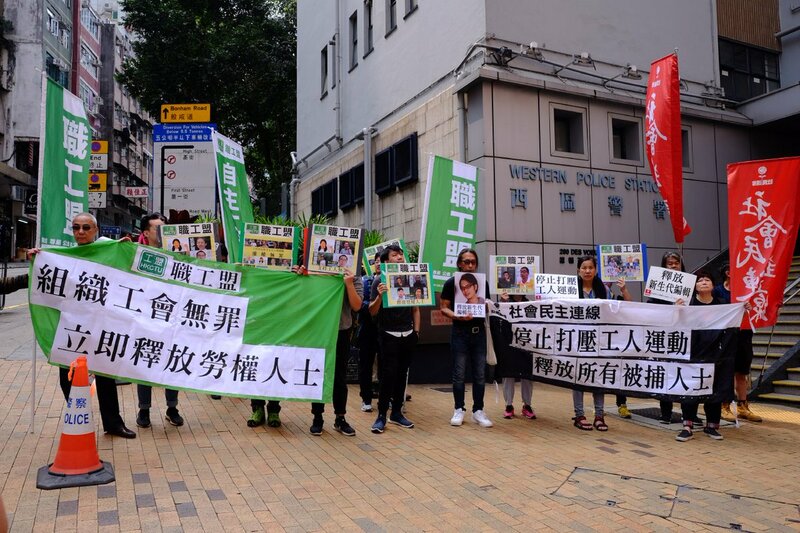 Also on March 26, the Hong Kong Confederation of Trade Unions - the only independent trade union organization in China - and supporting organizations marched through the city to the mainland government's Liaison Office to demand the immediate release of the Jasic workers and other detained labour activists. CLICK HERE to tell the government of China freedom of association is a right, not a crime!